Not gold related but as pretty as a nugget! WIN this beautiful $2,900 fully-customized Kimber 1911 Pistol for free! One of only 150 made; this beauty is California-transferable!! 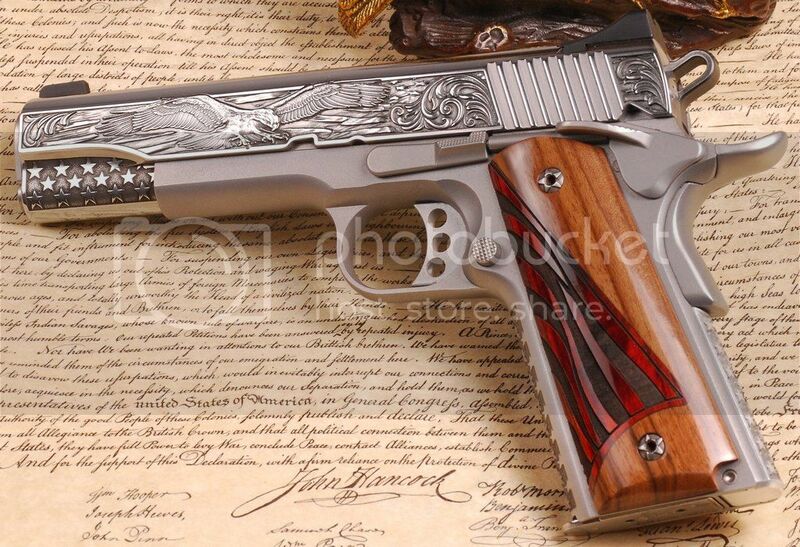 This is ON ROSTER as a Kimber Stainless II and this 1911 has been fully-worked and engraved by Altamont Co! #Beautiful! Looks a lot like my Michel Arms Gold series, less the fancy engraving.